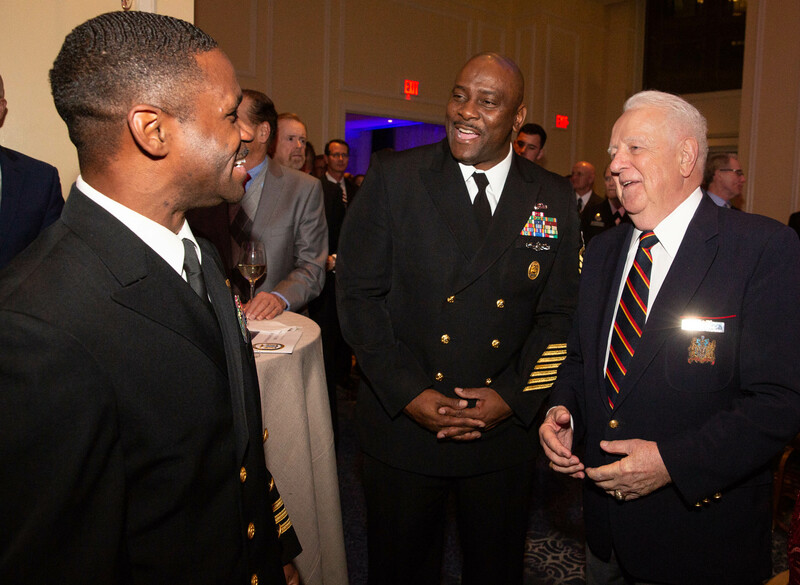 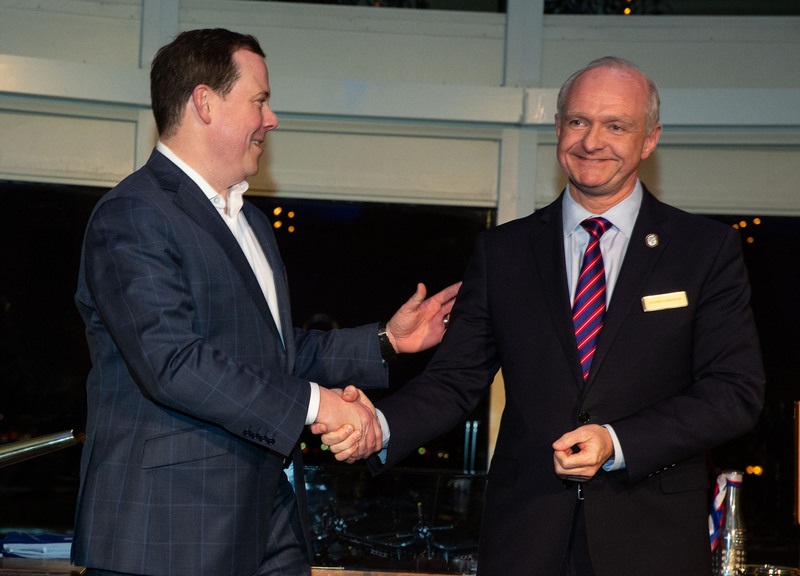 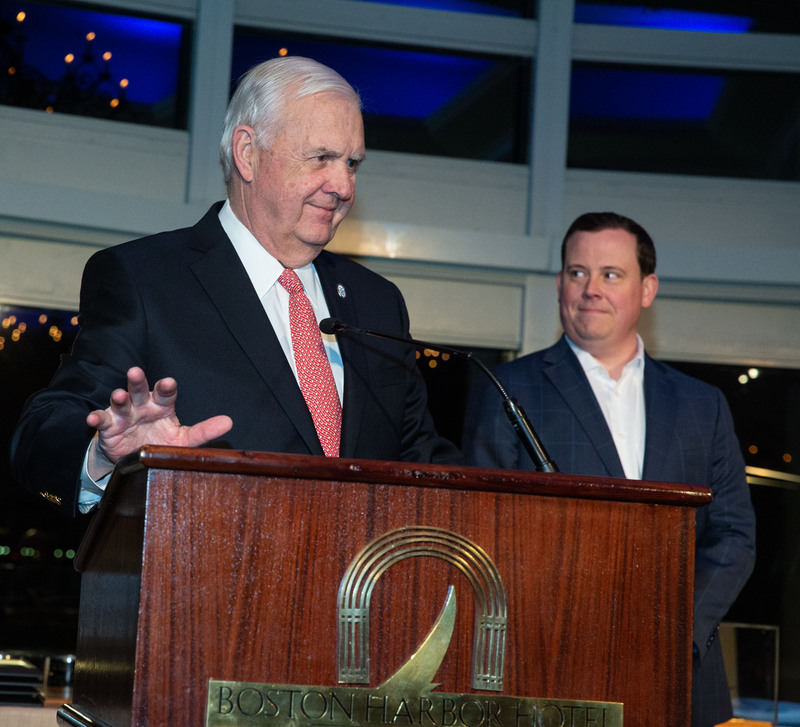 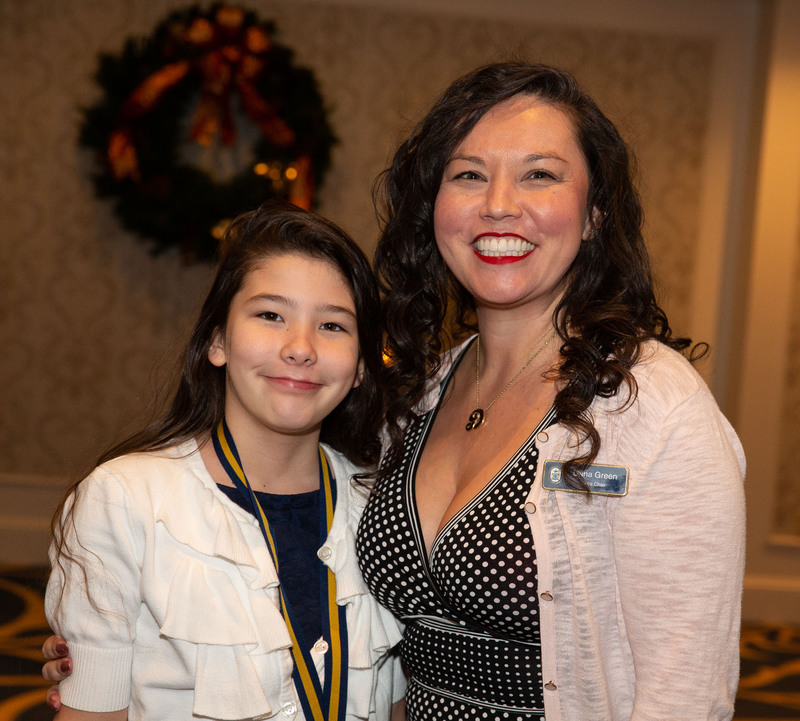 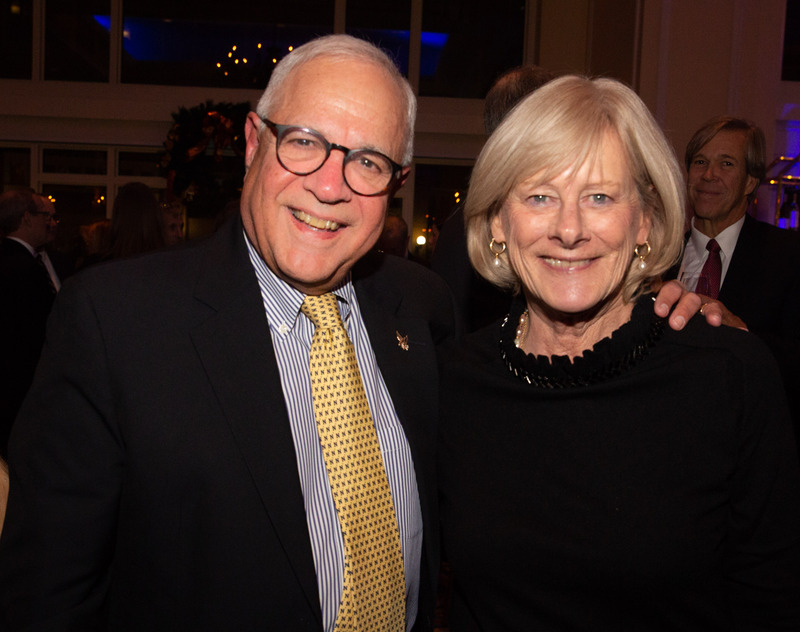 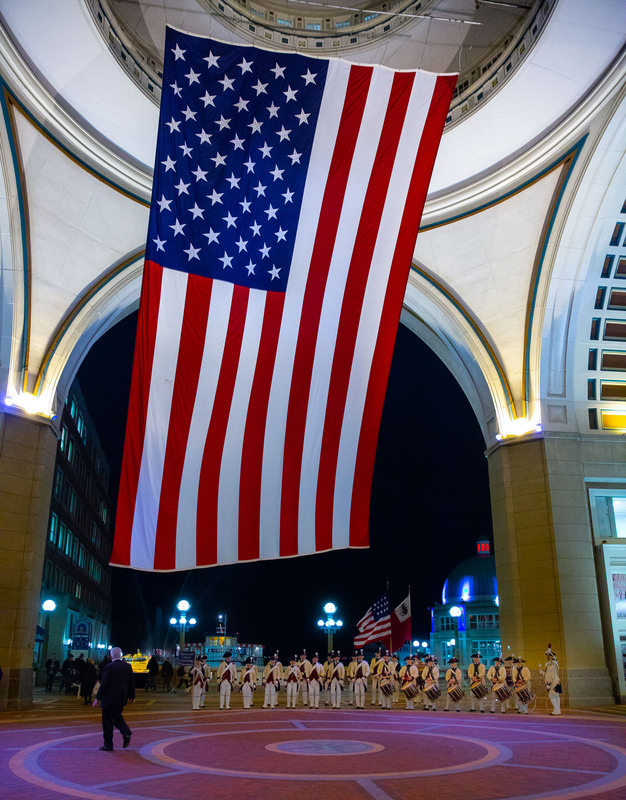 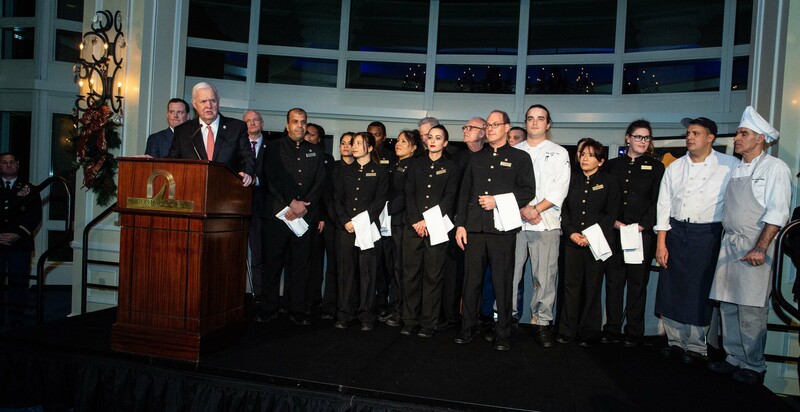 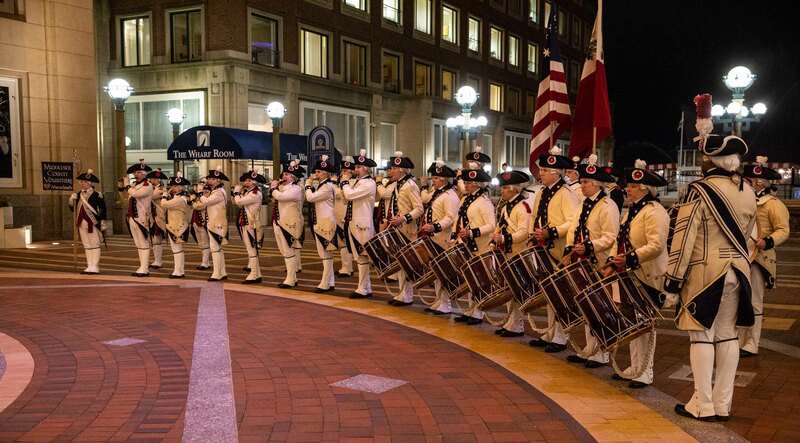 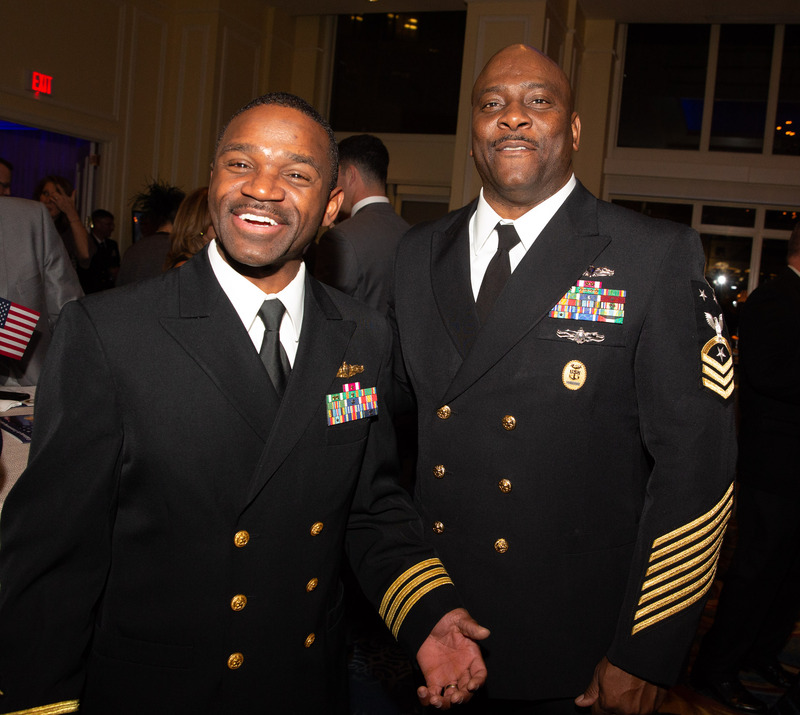 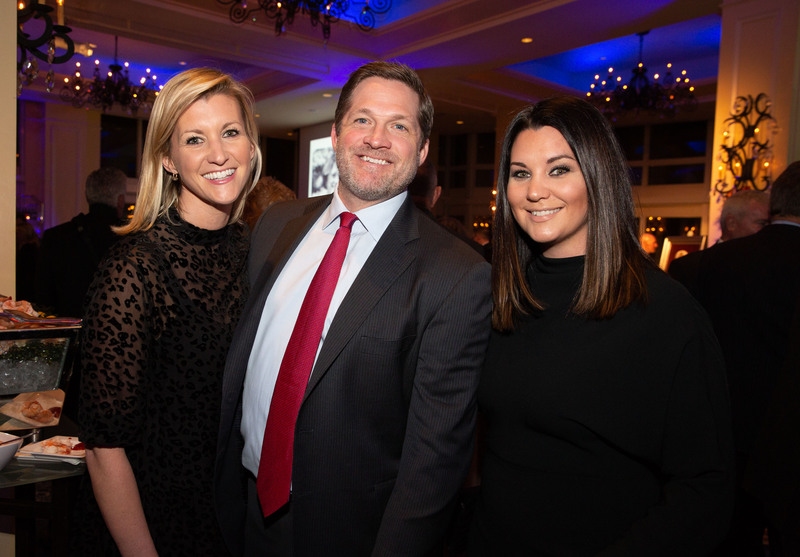 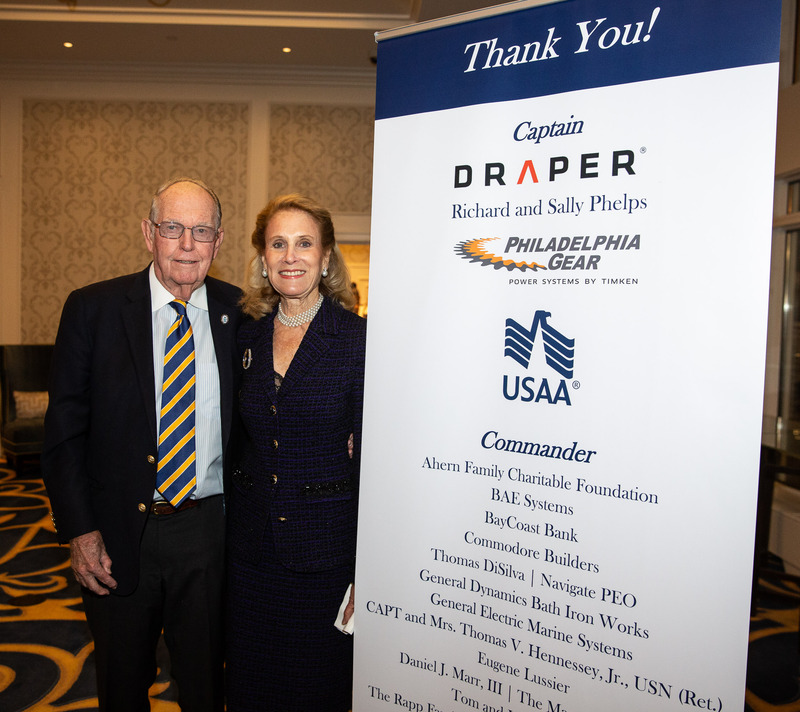 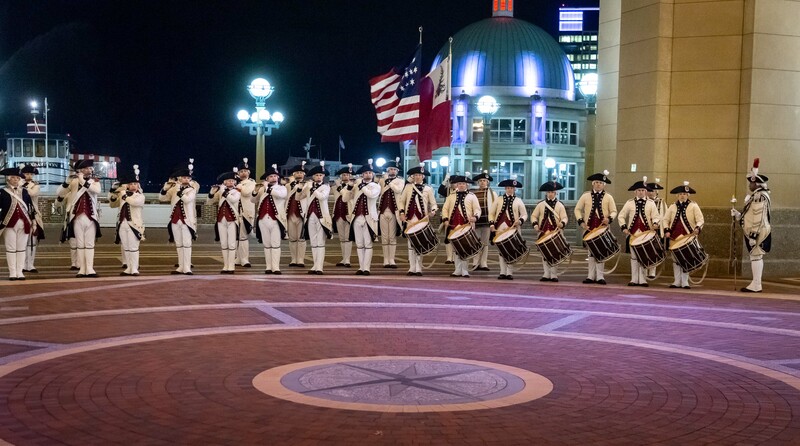 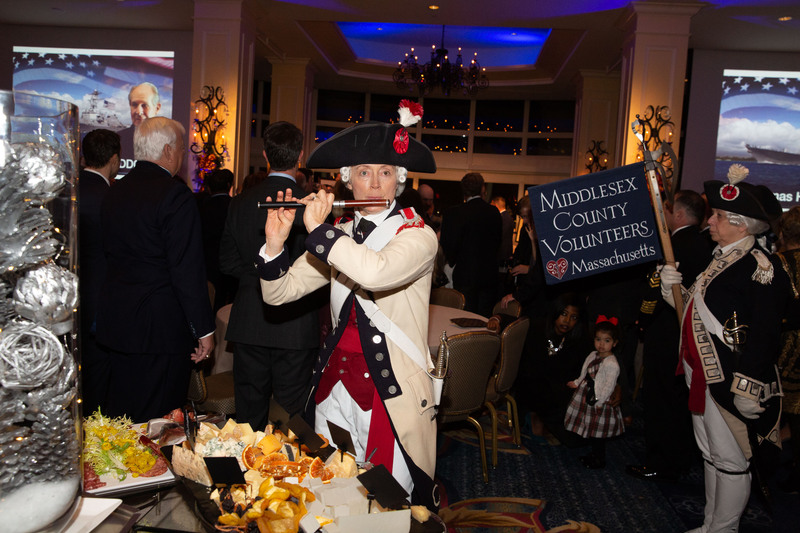 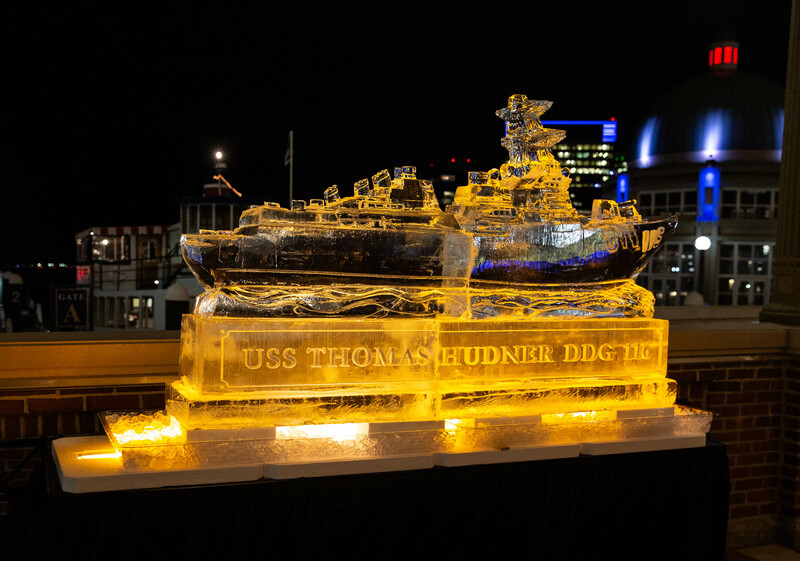 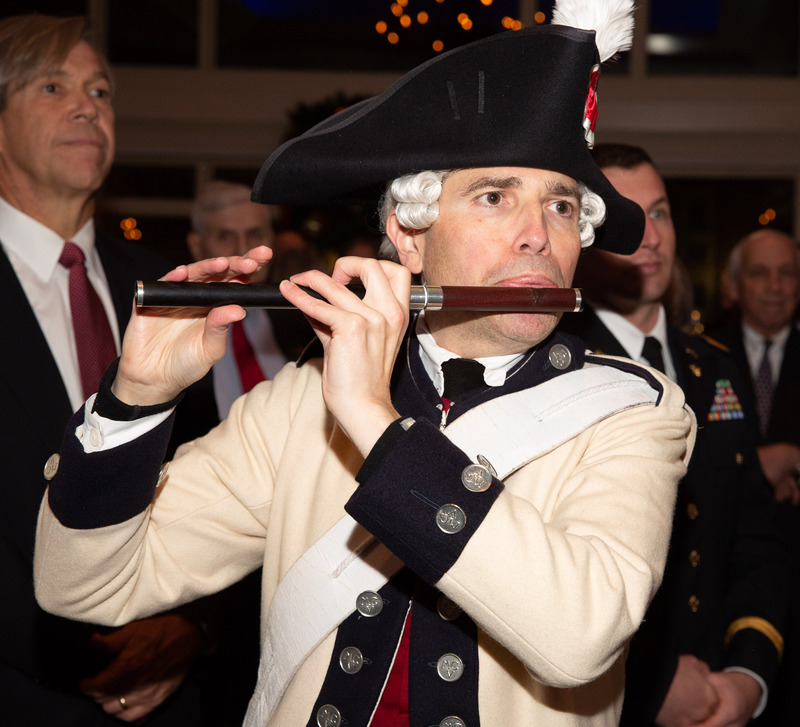 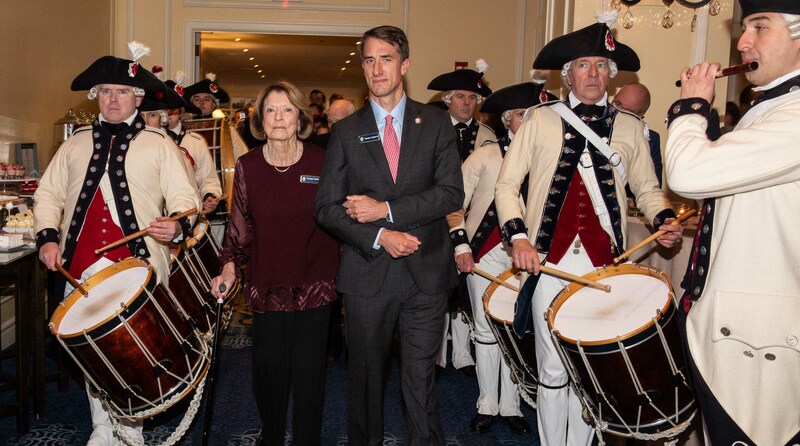 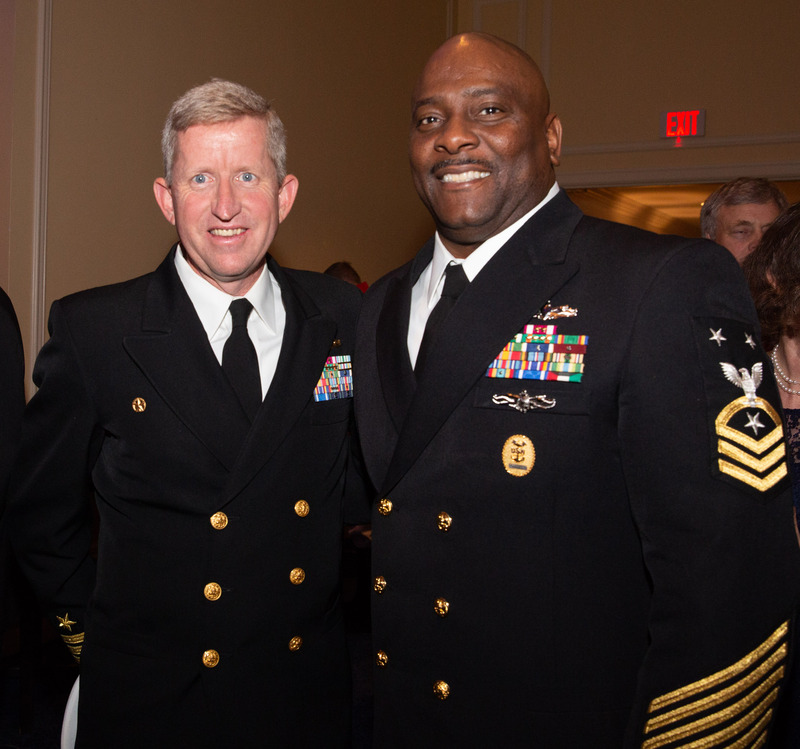 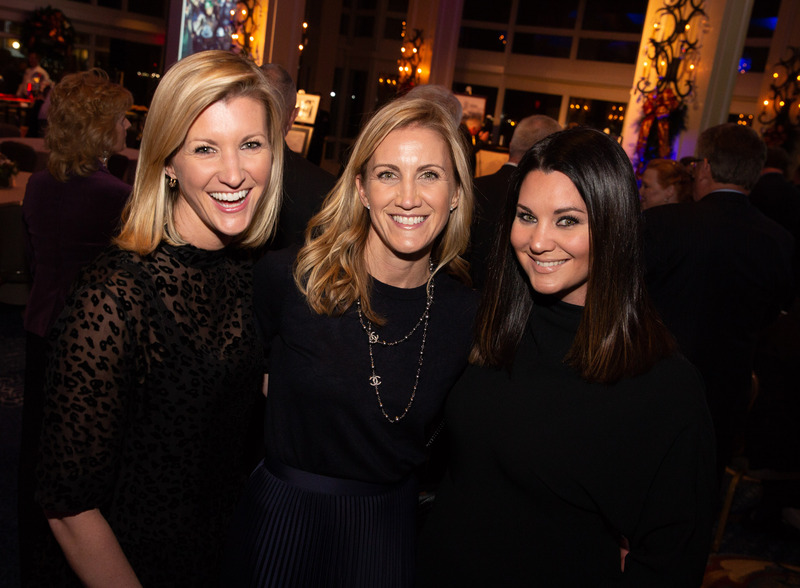 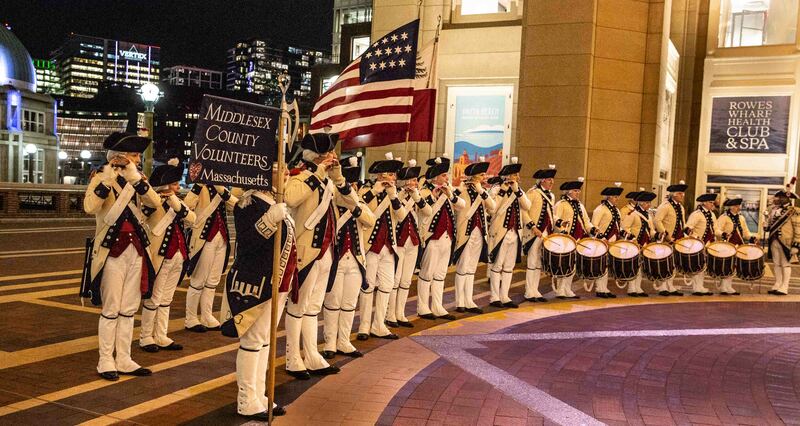 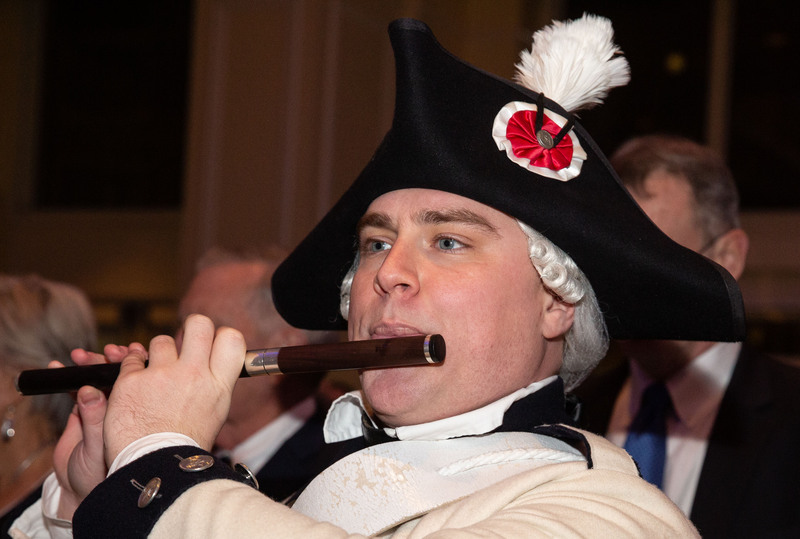 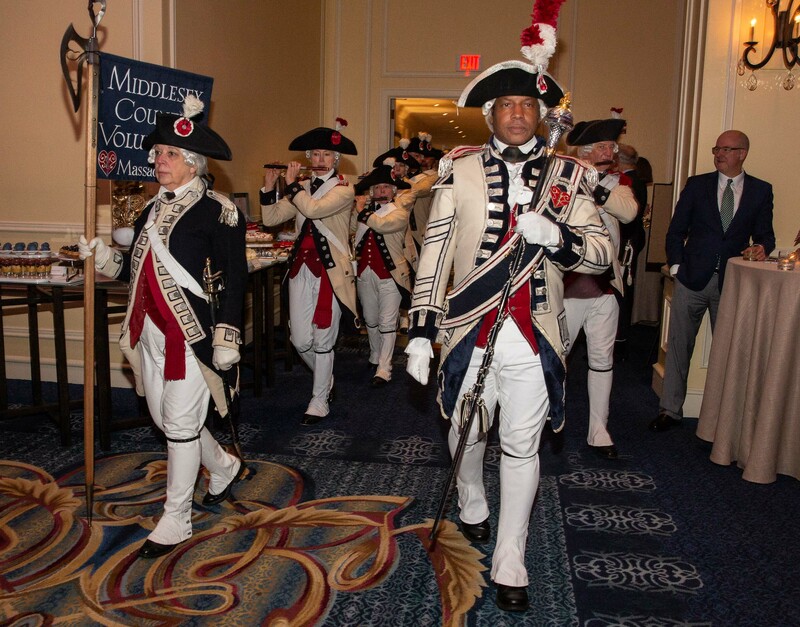 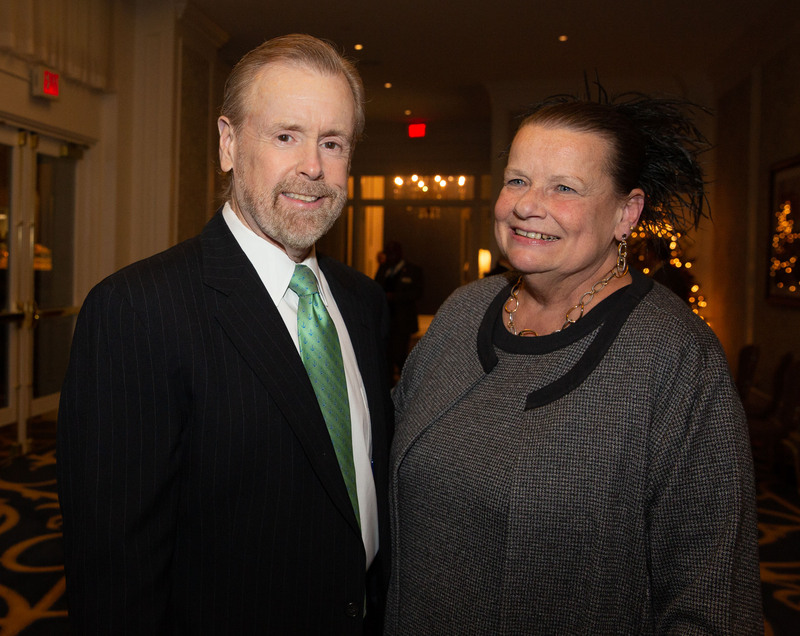 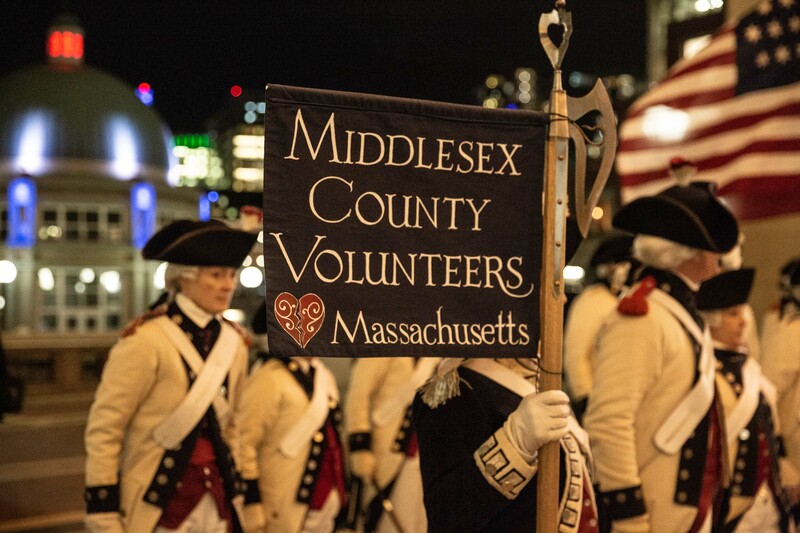 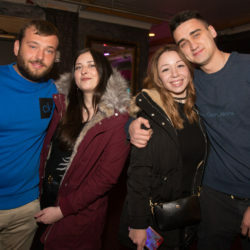 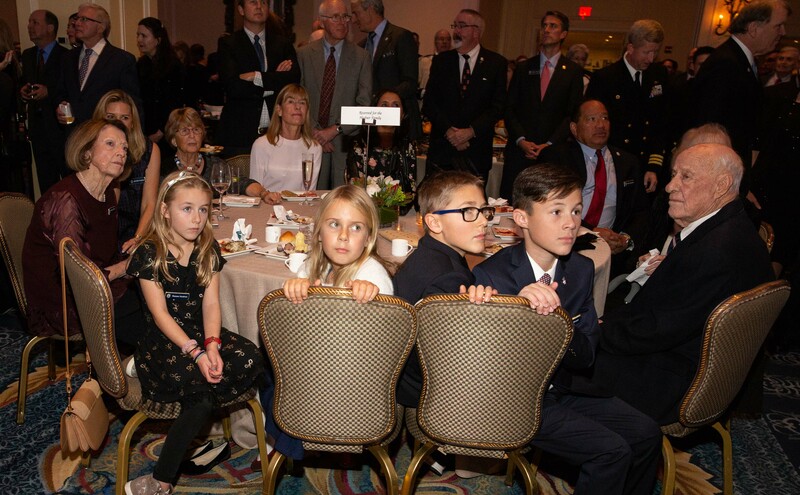 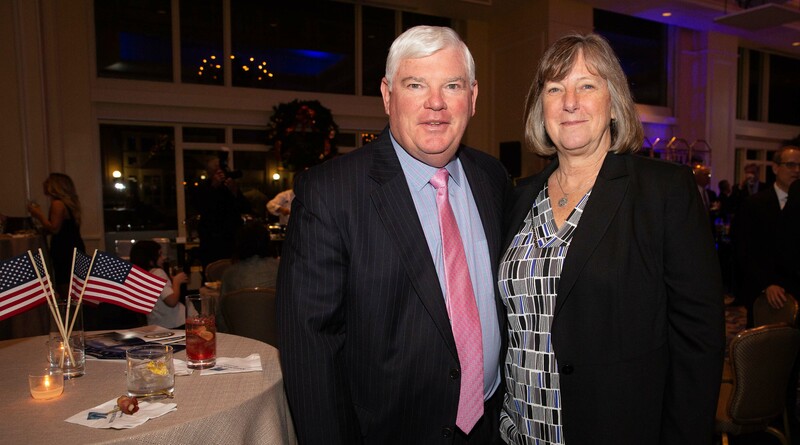 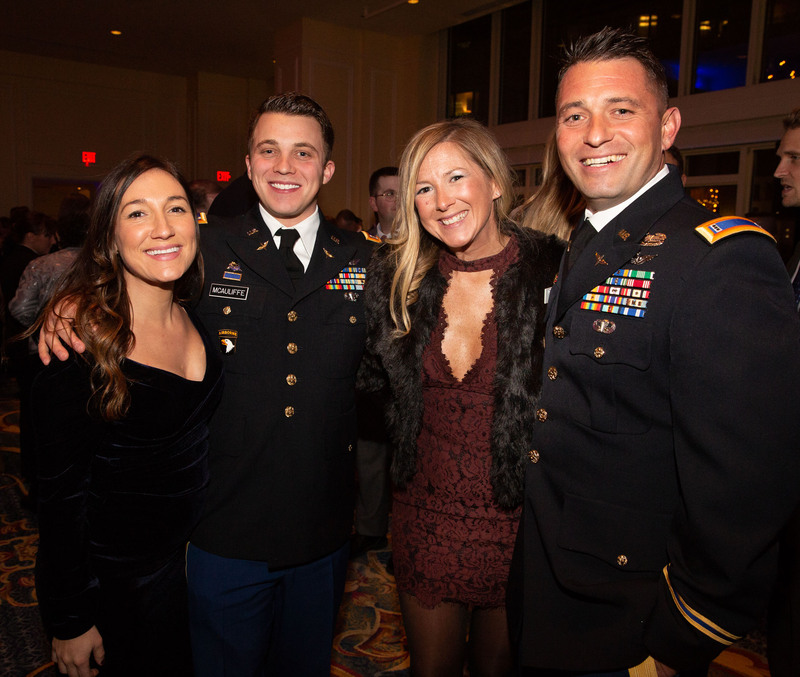 BOSTON — The Boston Harbor Hotel hosted 450 guests for Friday night’s reception to welcome military and their families to Boston for Saturday morning’s commissioning of the USS Thomas Hudner. 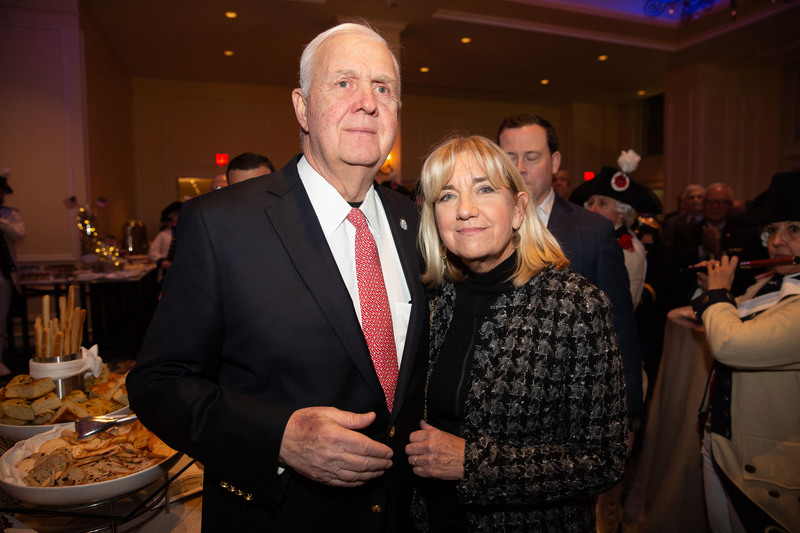 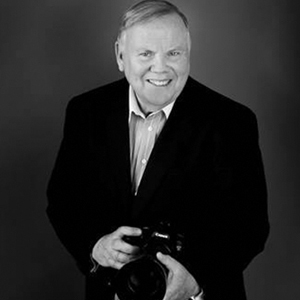 Among those in attendance were the family of Hudner, who lived in Concord for many years before his 2017 death at age 93. 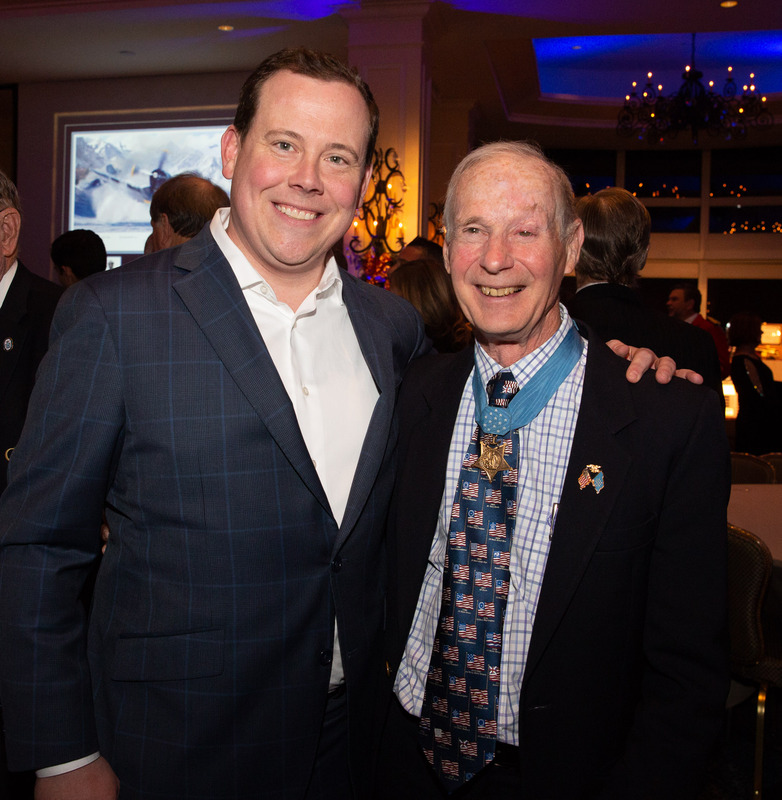 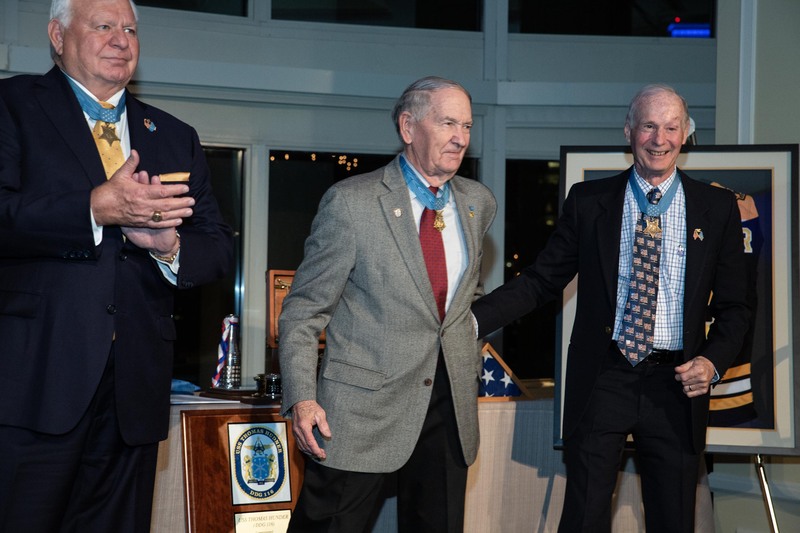 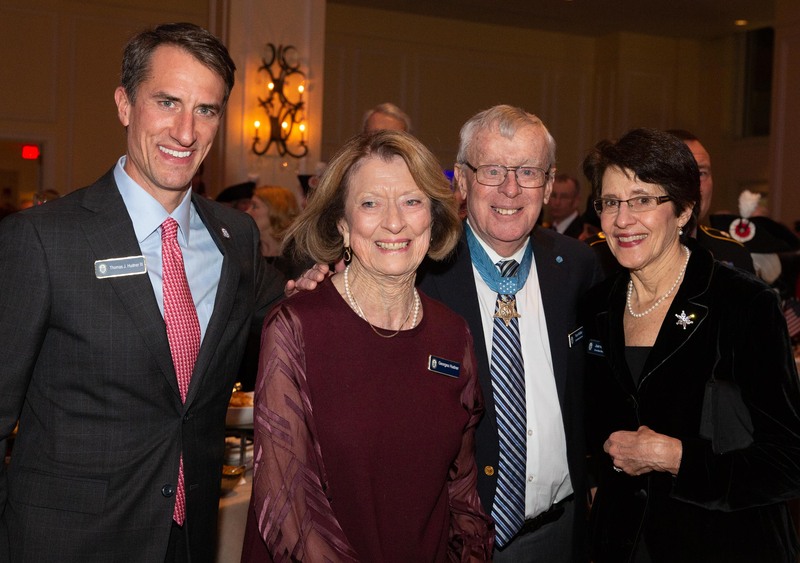 Hudner was a recipient of the Medal of Honor and four other recipients of the Medal of Honor attended the reception and the ceremony. 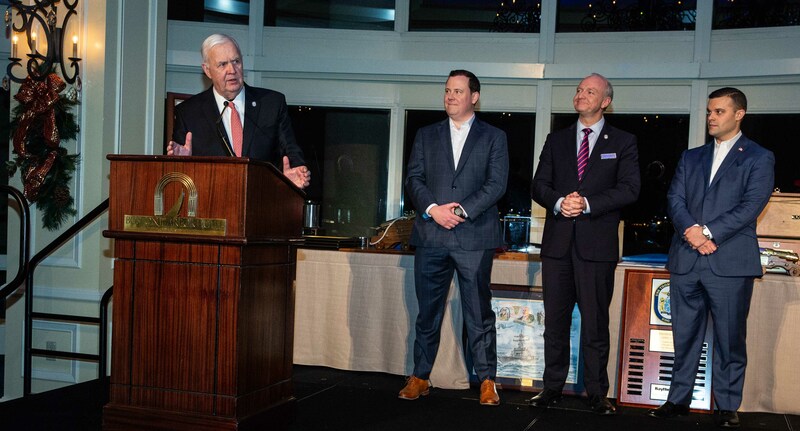 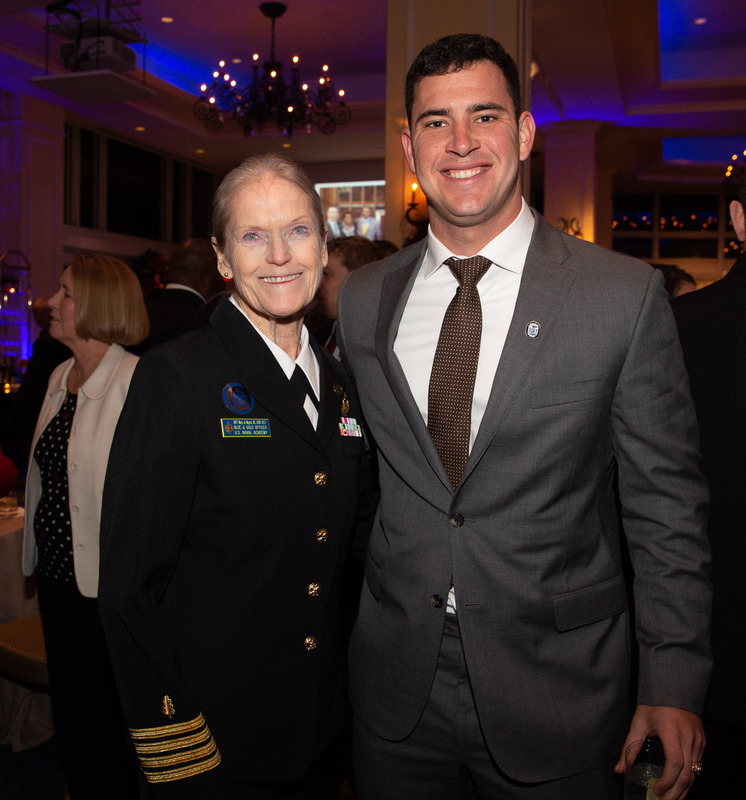 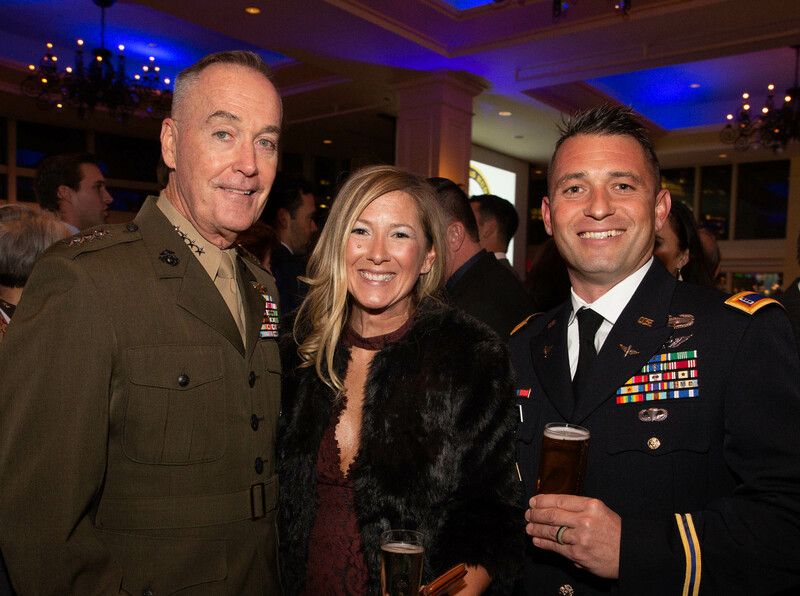 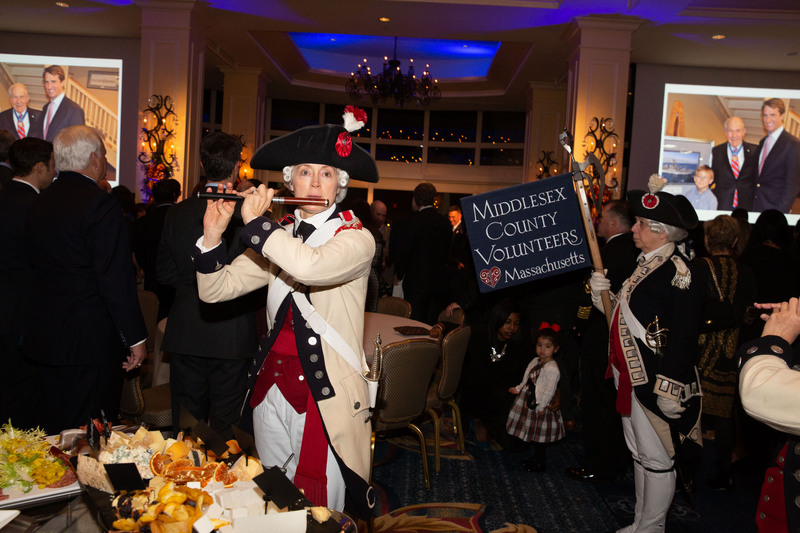 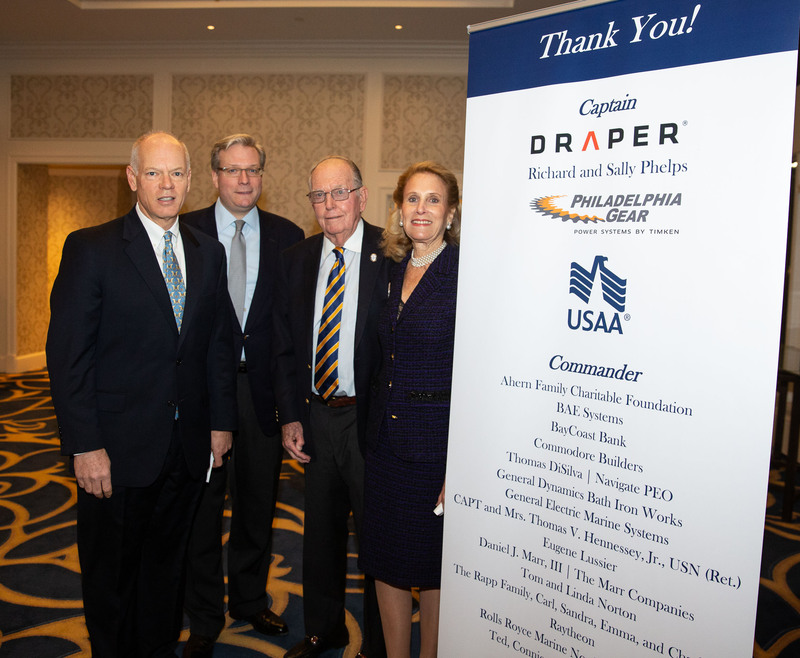 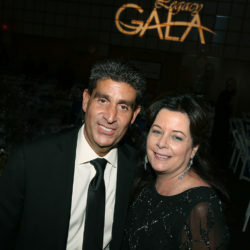 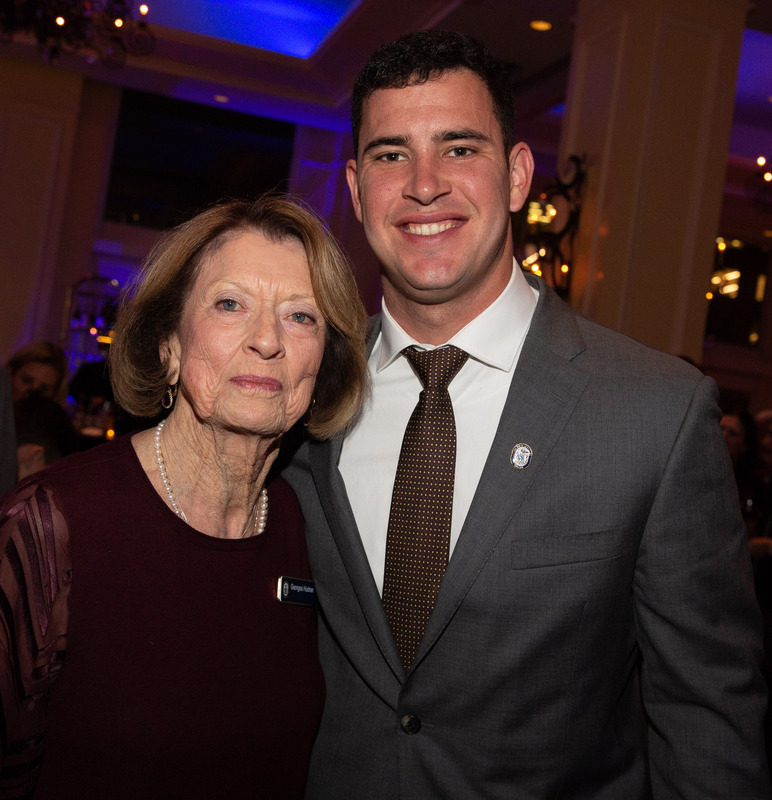 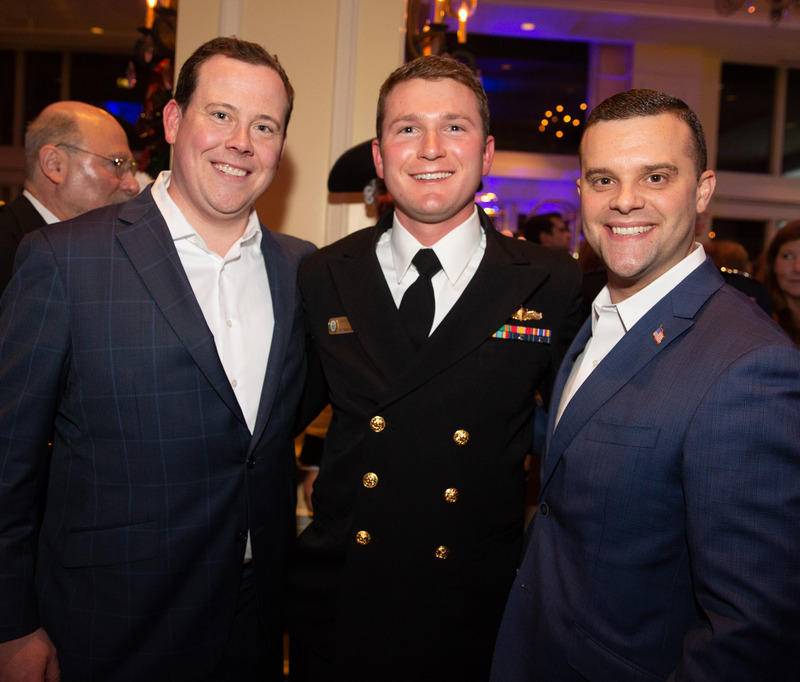 Among those in attendance were General Joseph F. Dunford, Jr., chairman of the Joint Chiefs of Staff, Pyramid CEO Rick Kelleher, Boston Harbor Hotel GM Stephen Johnston, Residence Inn Boston Harbor on Tudor Wharf’s Sean Howe, the Revere Hotel’s Tim Brett, and Patriots long snapper Joe Cardona, who is a graduate of the US Naval Academy. 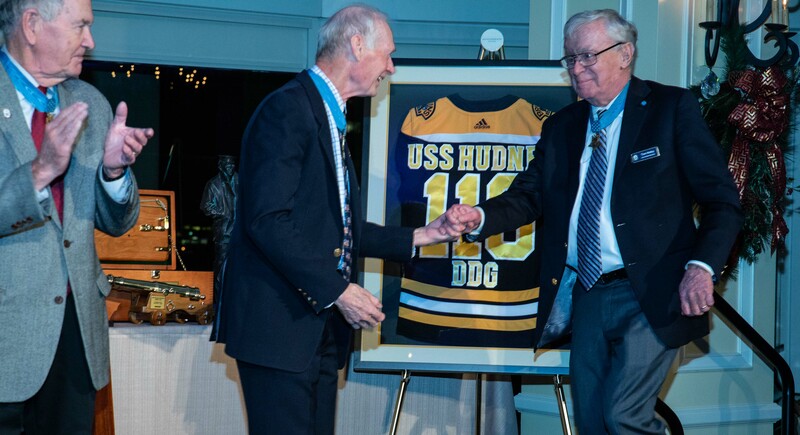 For more on Hudner and the Navy destroyer that bears his name, read this.